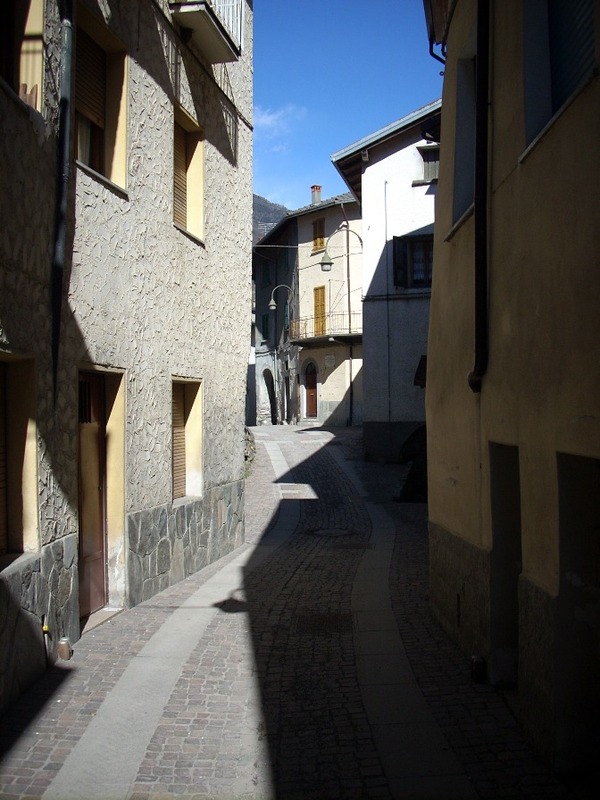 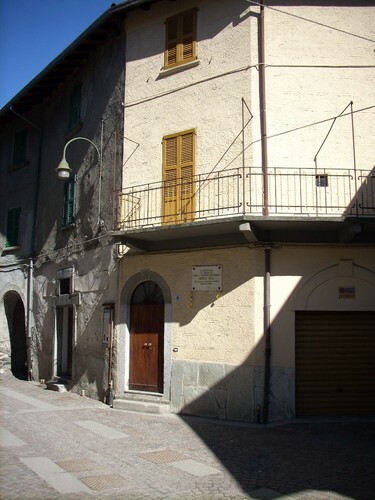 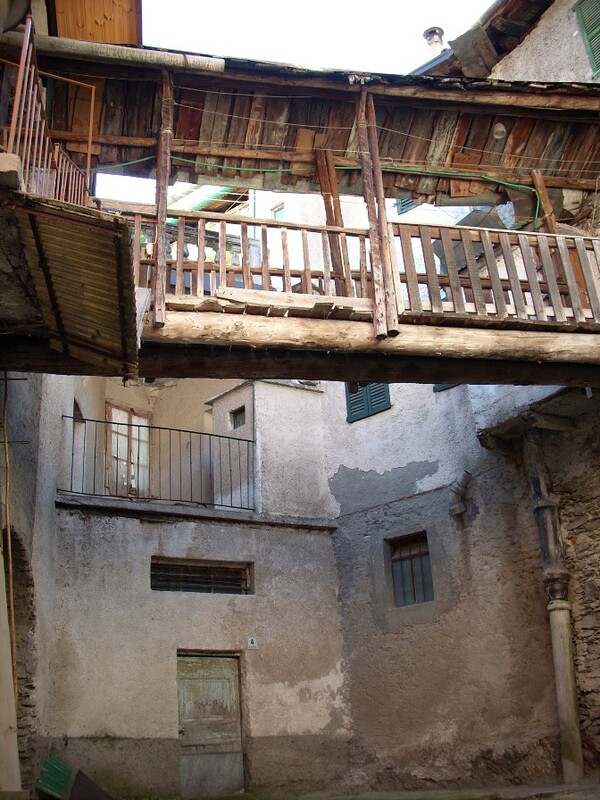 The italian medicine Nobel Prize Camillo Golgi was born the 7th of July 1843 in this small house, in the old part of the mountain village of Corteno Golgi, where his father Alessandro was appointed as a general practitioner from 1838 to 1858. Nowadays the house is a private one; on the back of the home, a typical suspended passage can be seen. Near the entrance, this simple italian inscription can be read: "IN QUESTA CASA / IL 7 LUGLIO 1843 / NACQUE E TRASCORSE L'ADOLESCENZA / CAMILLO GOLGI / ISTOLOGO E PATOLOGO INSIGNE / PREMIO NOBEL". ("In this house / the 7th of July 1843 / was born and spent his adolescence / Camillo Golgi / famous histologist and pathologist / Nobel Prize"). 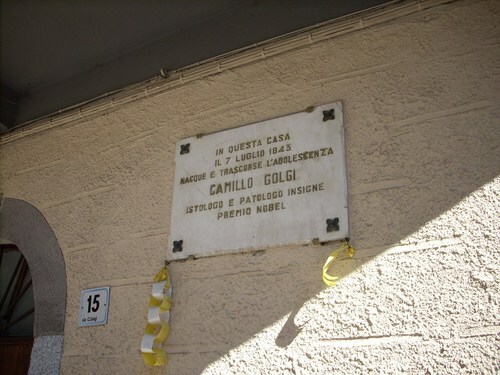 At a little distance from the house, a little but interesting Golgi Museum and a Camillo Golgi's bust can be seen.